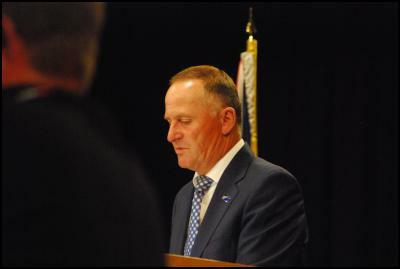 Other commitments mean Prime Minister John Key’s first post-cabinet press conference for the year would be a short one. Before explaining this, Key showed willing by rattling through his summary of Cabinet discussions – mostly a list of things the Government will continue to do – like a man whose goal was to get through all the words as quickly as possible. 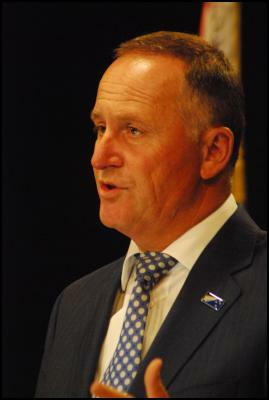 Key will announce new infrastructure spending in Auckland tomorrow. He would not confirm the announcement would see rail loop spending brought forward. 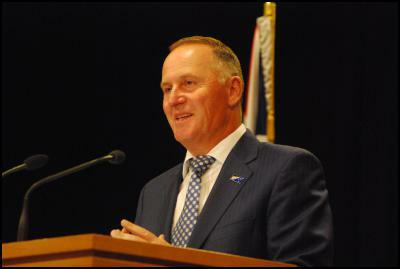 He maintained investor-state dispute mechanisms were there to protect NZ businesses overseas. 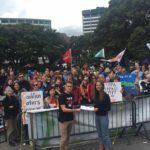 He was unconcerned about the risk of the NZ Government being sued and particularly unconcerned about the effect provisions in the agreement might have on the Labour Party’s foreign investment policies. The Prime Minister discussed the prospect of protests at Waitangi Marae and discussions on barring his own presence there on Waitangi Day. He reminisced cheerfully about protests past but said he was “not gonna gatecrash the lower marae”. The discussion the returned to an enthusiastic defence of the TPP. 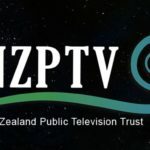 Mass executions in Saudi Arabia, which New Zealand was “deeply concerned” by, had not changed the Governments plans to continue spending money on an sheep-farm ‘agricultural hub’ in the country by building and abattoir. He was unaware of a Ministry of Foreign Affairs paper indicating that abattoirs in the country are owned by the state, which suggests that would be a gift to Saudi government. 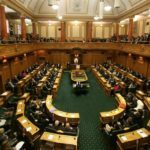 Other topics discussed included the Government response to the appearance of the Zeka virus in Samoa, the Green Party’s proposal for a Treasury unit to cost party policies, suggestions that New Zealander Fred Hollows could appear on Australian currency, and the prospect of flying the proposed new flag around Parliament.